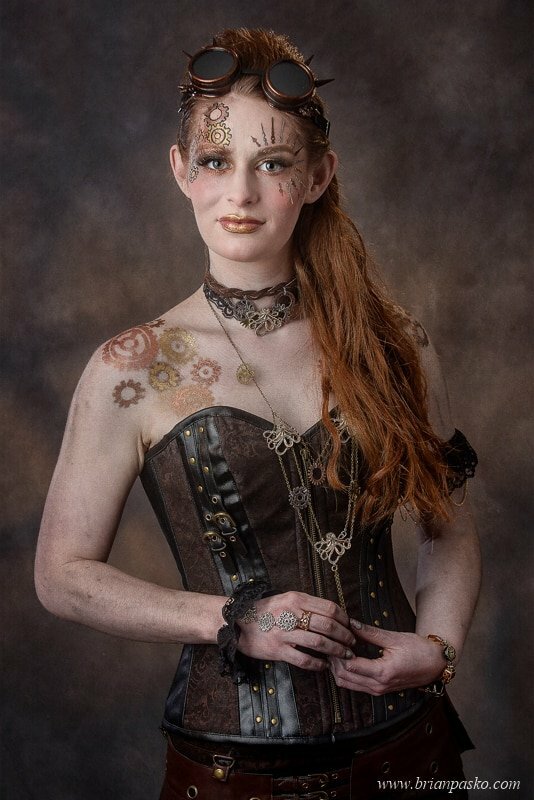 Makeup artist Sasha Steifel and I gave a fashion twist to this “Steampunk” collaborative portrait session. 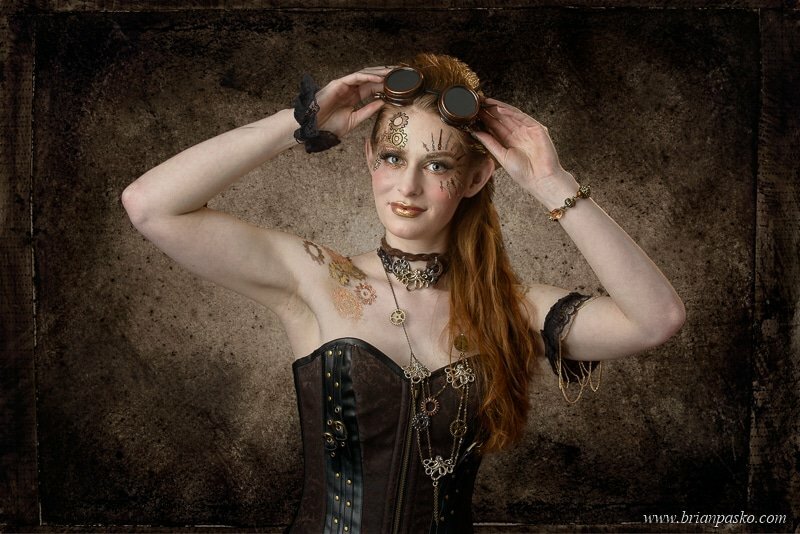 Steampunk is a genre of science fiction. It incorporates anachronistic technologies inspired by 19th-century industrial steam-powered machinery. 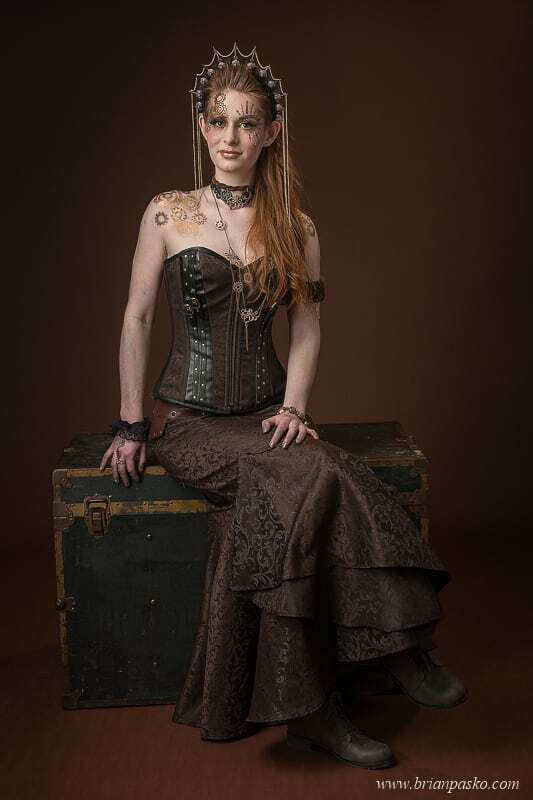 The steampunk culture embraces artistic styles, clothing, and fashions developed from steampunk fiction and the Victorian era. This creative fashion session was a true collaboration. 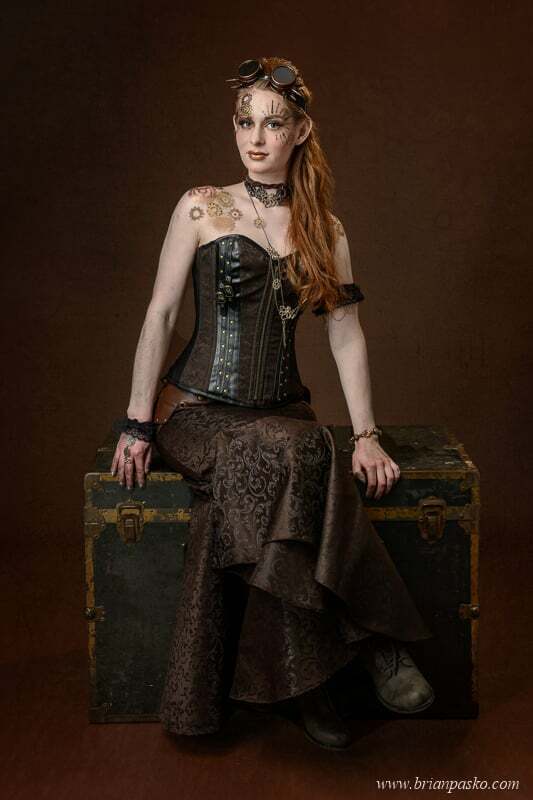 Model Cynthia Russell discovered an incredible steampunk era dress. That dress provided the foundation for the makeup and Sasha’s artistic design work. The goggles, headdress, and other props were sourced from Amazon and craigslist. 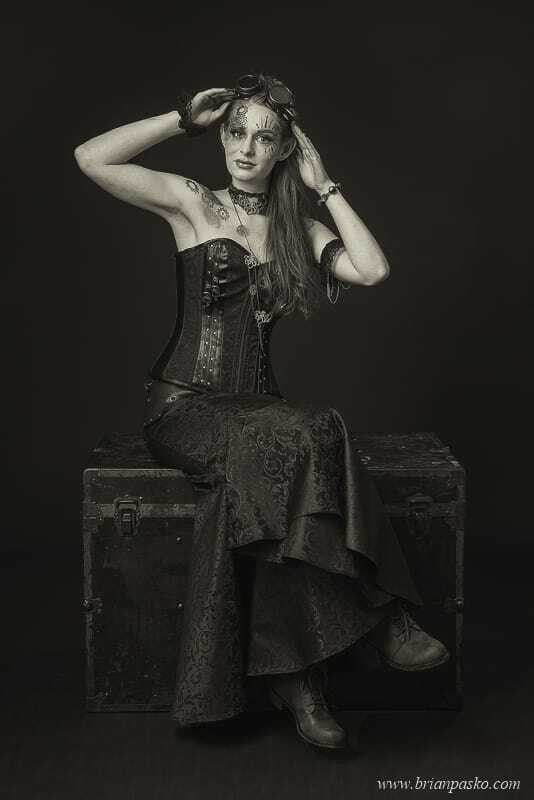 The majority of the portrait session was photographed in my studio. There we used a range of paper and muslin backdrops. And the studio setting allowed the use of several creative lighting techniques. 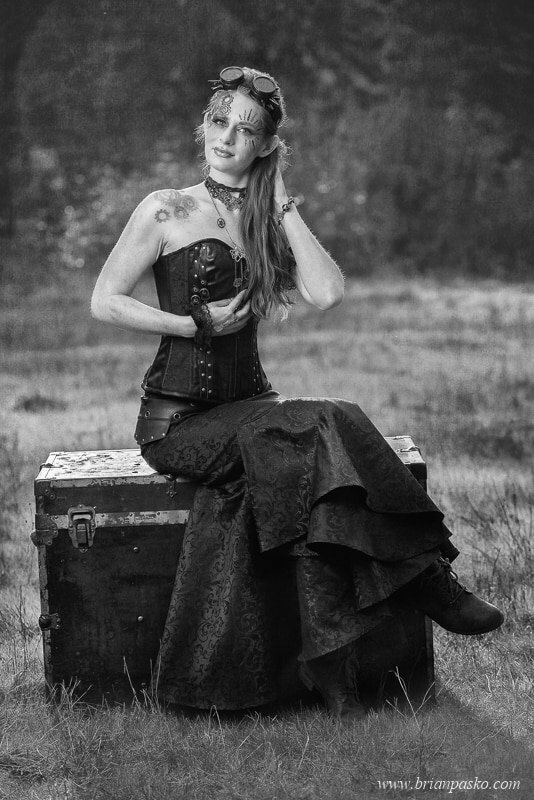 However, we couldn’t resist taking the dress outdoors along with a large antique trunk. We were able to capture some unique images in a nearby park before the April rain brought our creative work to an end. Are you looking to create fun fine art portfolio images with a creative fashion flair? 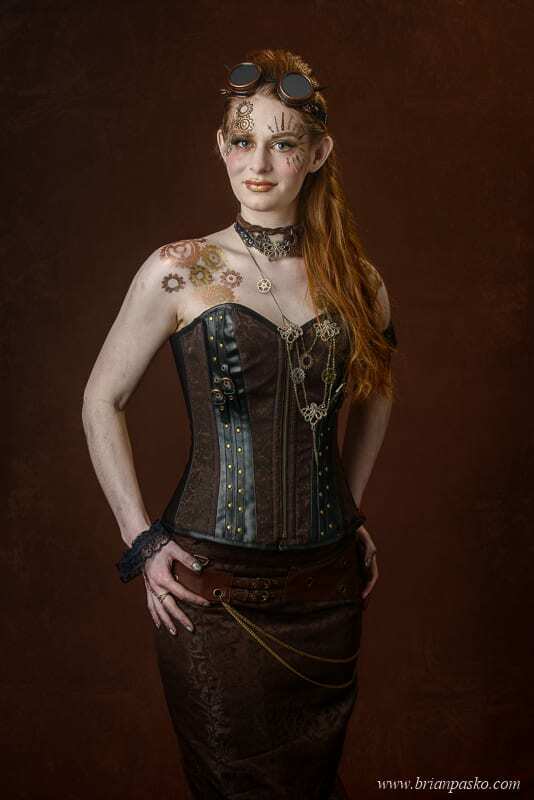 Click here to learn more about fine art portraits by Brian Pasko Photography.